Improve Efficiency and Productivity with using the Xplore M60 6.0 inch Rugged Android Handheld Mobile Computer, you can easily Access Enterprise Data and collaboration wuith your staff. • Use mobile device management services connect to the A4W profile, allowing whitelisted applications to be installed. Standard 1-year warranty covers all product or manufacturing defects. Expanded warranties available for accidental damage coverage. Though small in stature, the ultra-mobile M60 is the optimal size for maximum content viewing and maximum productivity while on the move. In fact, you won’t find a handheld computer with a larger, brighter View Anywhere™ display, or longer battery life*, on the market today. It boasts a 6” FHD 550 nit display that’s perfect for completing checklists or reading equipment manuals outdoors under full sun or in the rain. It also comes standard with a long-life user-replaceable battery that will keep you energized for up to 22 hours*. Even better, this Qualcomm Octa-Core powered and Android 8.0 Oreo™ handheld is built from the inside out to outlast, outperform and outshine other mobile devices. You can scratch it, shake it, even shock it. The M60 will keep working as if nothing happened. This compact mobile computer is built from the inside out to take a spill, survive a dust storm, stay cool under the hot sun, and stay warm enough to work in freezing temperatures. With an IP68 rating, 1.5M drop certification and -20° to 60°C tolerance, this all-weather warrior will keep your road warriors and shop floor workers on schedule, even during inclement conditions or when traversing rough pavement. Xplore M60 6.0" Rugged Android Mobile Computer is a great mobility solution for shift-workers that share technology tools via teaming deployments. It’s an even more effective tool for individuals who need and want full team support all shift long. This highly-connected handheld is equipped with a full range of WAN and PAN technologies, including 802.11ac, Bluetooth, NFC, and LTE data and voice communications platforms. As a result, workers will have a way to connect with supervisors, colleagues and customers in virtually every situation, even highly remote ones. Xplore M60 Mobile Computer Android 8.0, WLAN 802.11ac, Front/Rear Camera, Barcode Reader, IP68 - Rugged Handheld, M60, 6 FHD, Qualcomm 8953, Android 8.0, 32 GB SSD, 4 GB, WLAN 802.11ac, Front/Rear Camera, 1D & 2D Barcode Reader, IP68, 1 Year standard Warranty. 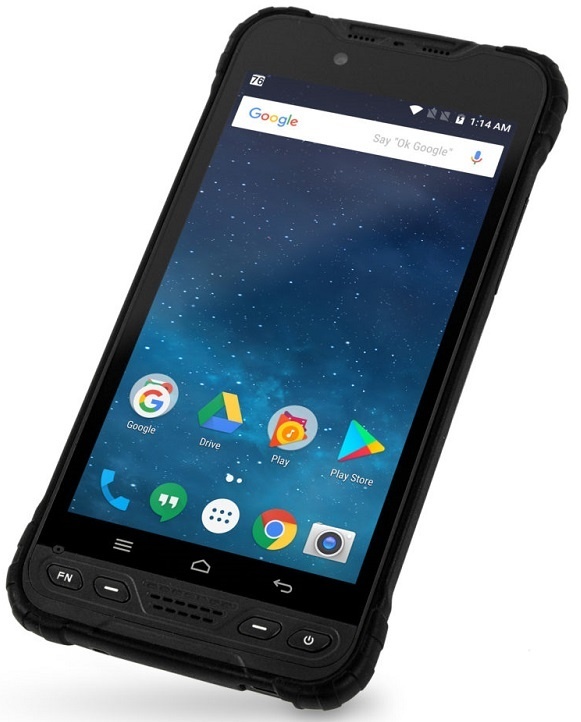 Xplore M60 Mobile Computer Android 8.0, WLAN 802.11ac, Front/Rear Camera, IP68 - Rugged Handheld, M60, 6 FHD, Qualcomm 8953, Android 8.0, 32 GB SSD, 4 GB, WLAN 802.11ac, Front/Rear Camera, IP68, 1 Year standard Warranty. Xplore M60 Mobile Computer Warranty, 3-Year Standard Upgrade. - Xplore M60 Mobile Computer Warranty, 3-Year Standard Upgrade.